Happy Monday friends! Boy do I have a great post for you today. First things first though. The winner of the Strong and KIND bar giveaway is…. Becca! I used the Random Number Generator to pick the winner. Congrats Becca! Now on to the yummy, scrumptious, melt in your mouth stuff. Andy and I attended a Harvest Dinner last week at the Saugatuck Craft Butchery. The Saugatuck Craft Butchery was founded three years ago in Westport, Connecticut by a husband and wife who were unsatisfied with food situation in the area. It was way too hard to find good quality and local meat so they left their corporate jobs and opened up a food establishment to provide the community with grass fed, antibiotic and hormone free animal products. So cool. Andy and I have been wanting to get to the butchery to check it out so when the opportunity arose to attend one of their eight course dinners, we jumped right on it! This was such a cool experience and one of the best, most adventurous meals I have ever had! 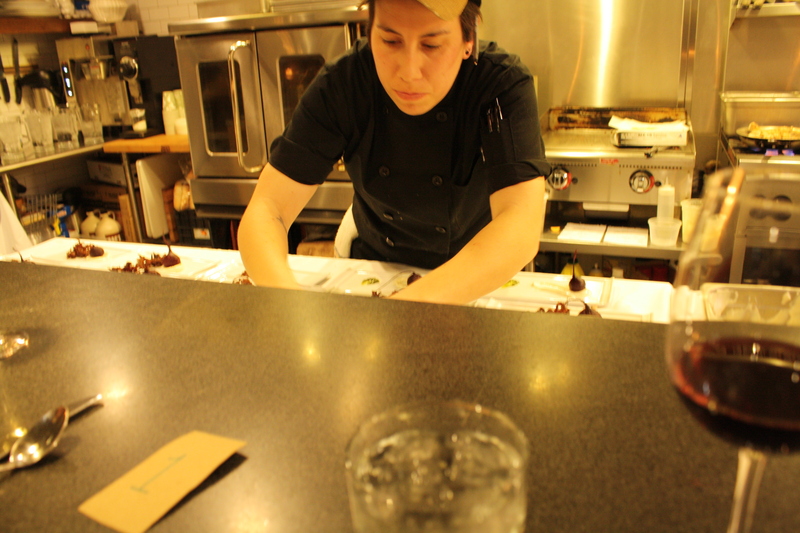 We sat right up at the bar seats where we had an up close view of the chef, Emily, at work. 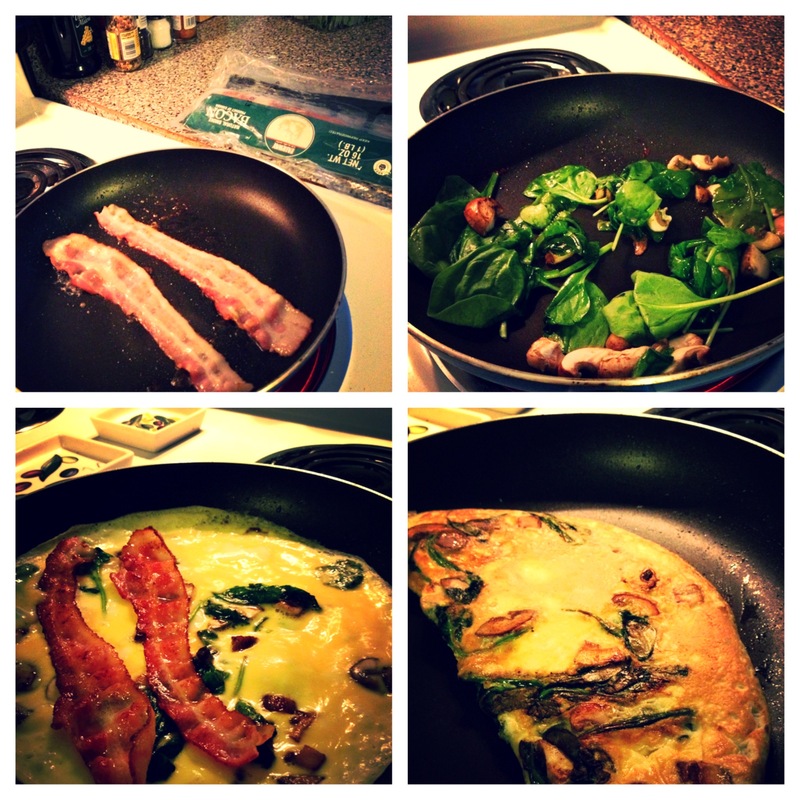 It was like a real live version of Top Chef! Happy Friday people! I hope you all had a fabulous week. My week has been quite different from most…but I’ll save that for a post coming soon. I have had a little more time on my hands so decided to break out the cook books and get a little creative. I hadn’t made meatloaf in forever, probably since the 21 day sugar detox. As I was flipping through Diane SanFilippo’s Practical Paleo I came across a recipe for Lamb Meatballs with a Balsamic & Fig Compote. Sounded amazing! 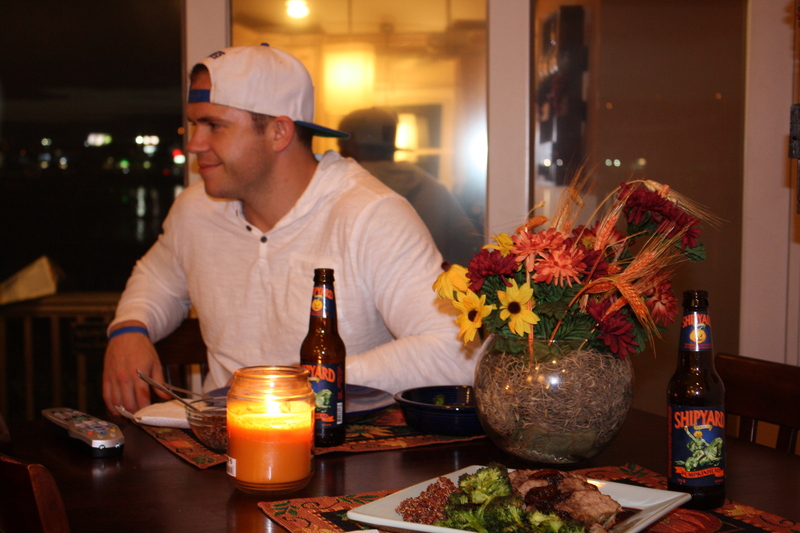 Except I’m not the biggest lamb fan and I really wanted to make a meatloaf! 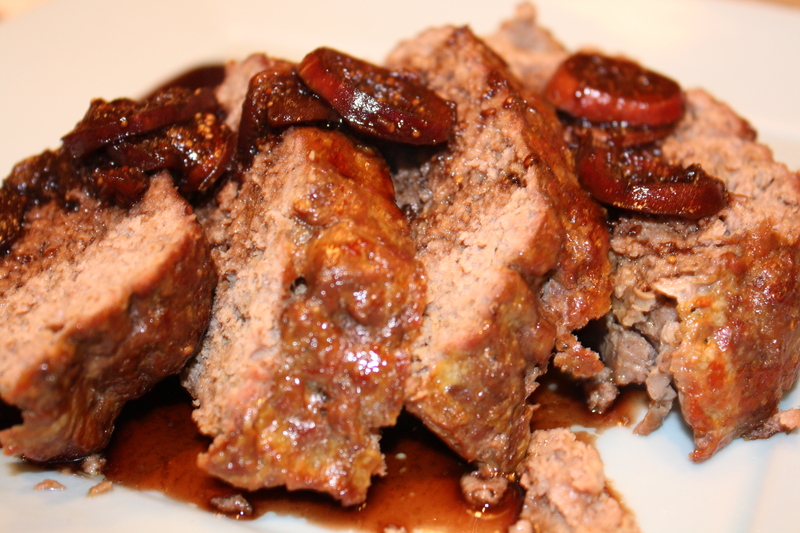 So was born Balsamic & Fig Meatloaf.